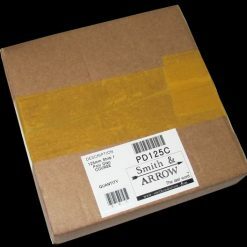 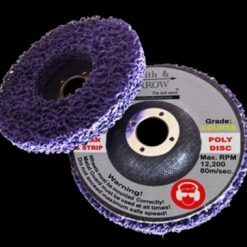 Smith & ARROW stripping discs are made of polyfibre, which provides a very quick strip removal of paint or rust WITHOUT damaging the original surface. 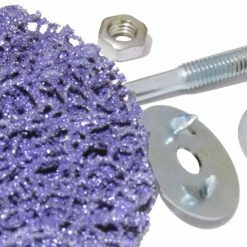 This makes them excellent tools for the removal of paint or rust off car panels – also great for use on wooden or fiberglass surfaces. 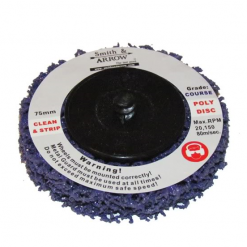 Due to their high quality, our strip discs are ideal for cars, trucks, motorcycles or boats. 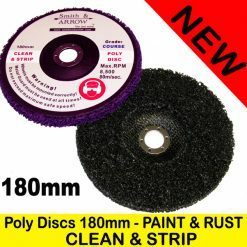 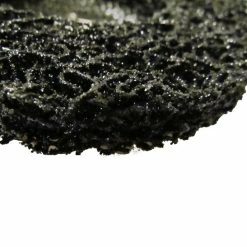 These paint remover discs will thoroughly remove paint, epoxy and rust from surfaces. 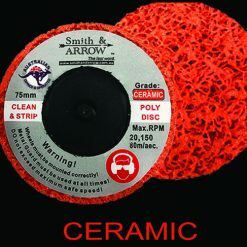 The surface will then be prepared for painting or coating. 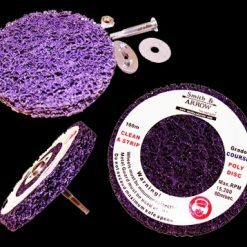 The discs are very suitable for the fast and effective treatment of surfaces that are hard to clean. 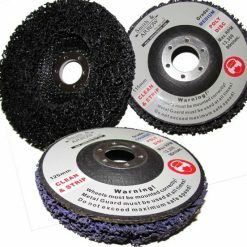 Our Strip Wheels are available in coarse and medium grit and are for use with an angle grinder, roloc machine, die grinder or drill. 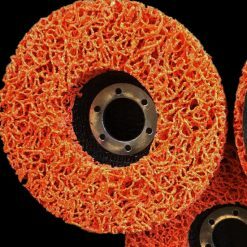 Available in 3” 75mm / 4” 100mm / 4.5” 115mm / 5” 125mm / 6” 150mm and 7” 180mm.